We often spend too much time working on things long after we should have stopped, in a misguided attempt to make them perfect. This habit is problematic, because it can cause you to waste time and feel frustrated, without helping improve the quality of your work. In the following article, you will learn more about the problem with perfectionism, and see how you can deal with it by implementing the concept of good enough, in order to boost your productivity. Perfectionism, which is generally characterized as the trait of striving for flawlessness in your work, isn’t necessarily a bad thing. Specifically, when it manifests in a positive way, perfectionism ensures that we set high standards for ourselves, and provides us with the motivation that pushes us to work hard. The problem with perfectionism occurs when it gets out of hand and manifests in an unhealthy, neurotic way, which causes us to pursue unattainable goals, or to waste time focusing on unimportant details. This form of negative perfectionism causes us to be highly inefficient in our work, and is also correlated with an increase in various mental-health problems, such as stress, anxiety, and depression. Furthermore, negative perfectionism can also serve as an excuse that we give ourselves in order to delay the moment when we have to take action and risk failure. For example, if we’re afraid to make our work public because we worry that it will be accepted badly, we might keep developing our work indefinitely, under the false guise of trying to perfect it. As such, the most important distinction to remember with regards to perfectionism is that healthy (adaptive) perfectionism is about striving for perfection, while unhealthy (maladaptive) perfectionism is about having a negative reaction to imperfection. Because of this, those who benefit from having perfectionist tendencies are those who are able to use their perfectionism as motivation to try and achieve good results in their work, while simultaneously accepting the fact that the end result will have some imperfections. This idea is epitomized in the concept of good enough, as we will see in the following section. The idea of getting to a level where your work is good enough does not mean that you should do work that is inherently subpar. Rather, doing work that is good enough means rationally deciding what level your work should be at in order to achieve the best outcome for you, and then striving to reach that level. As such, the first step to using this concept is to clearly identify what good enough means to you. This will vary in different scenarios, and in some cases your standard for good enough might end up being quite high. For example, when preparing an academic paper for publication, the end result will have to be of high quality in order for it to get accepted in a high-ranked journal. Since your first draft usually won’t be good enough for this, you will likely have to revise the paper several times in order to get it to the necessary level. This is where the concept of good enough comes into play. While revising the paper is certainly necessary, eventually you’re going to hit the point of diminishing returns, where going over the paper no longer leads to any significant improvements in quality. This might occur on your 4th, 6th, or even 10th draft, but in the end you will reach the point where additional revisions result in only minor, inconsequential changes, that do not increase the chance of publication. In this context, the key to using the concept of good enough is to identify at what point the paper no longer benefits on a significant level from additional work, and to then actually send it out when you get to that point. Deciding how much time you’re willing to dedicate to writing the paper, in terms of total hours. Deciding on a deadline by which you have to submit the paper. Deciding how many drafts you’ll go over before you settle on a final version. Deciding that after the second draft is done, you’ll send it to a colleague for external feedback, and then reassess the situation based on that feedback. The 80/20 rule is often a helpful guideline when determining what good enough means. Specifically, this rule states that roughly 80% of the output comes from 20% of the work. This means that the more work you put into something past a certain point, the lower the return you will get on your investment of time and effort. You should take this rule into account, and decide at what point your efficiency, in terms of cost/benefit ratio, becomes low enough that additional work doesn’t lead to enough benefits in order to be worth it. Another thing that you should keep in mind with regards to your good enough point is Parkinson’s law, which denotes that “work expands to fill the time which is available for its completion”. Essentially, what Parkinson’s law means is that the more time you assign to a certain task, the longer you will take to complete it, even if you could have gotten it done in a shorter period of time. Understanding the concept of good enough can help you avoid this issue in some cases. 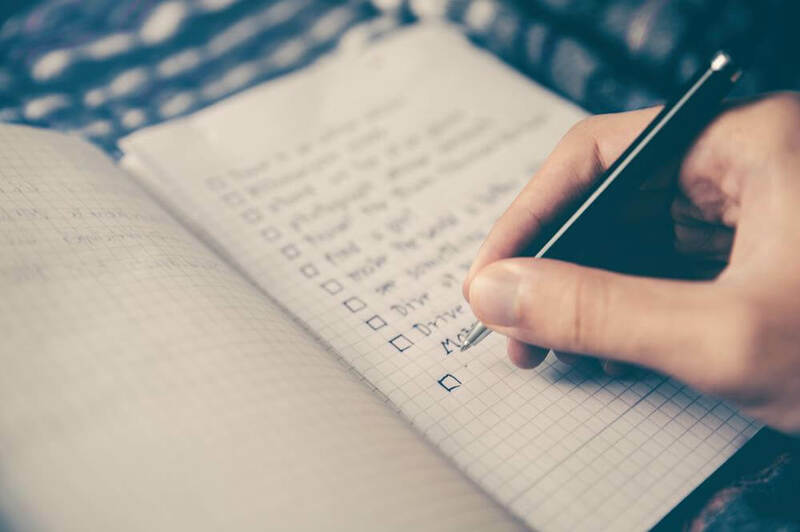 Specifically, by deciding on a clear good enough point from the start, you can decide how much time you need to dedicate to the task, rather than how much time you can dedicate to the task, which will help you set realistic time constraints, and avoid wasting time. Furthermore, by identifying a clear good enogh point, and stopping as soon as you get to it, you will be able to save time when you end up finishing a project earlier than expected. In such cases, instead of dragging on the process submitting your work just because you have extra time available, you should stop once you realize that you’ve reached your target good enough point. Most importantly, you should remember that your time is precious, and that there is also always a cost to doing extra work. When this cost isn’t worth it, that’s the point where you should stop working, and move on to the next thing that you need to do. Overall, the key to working efficiently by letting go of perfectionism lies is in learning to identify what your good enough point is, and getting yourself to stop once you get there. The standard for what good enough means for you can be as low or as high as necessary; the important thing is to set this standard using a rational thought process. Perfectionism, which is characterized as the trait of striving for flawlessness in your work, can influence us in a positive way when it pushes us to set high standards for ourselves. However, perfectionism can also influence us negatively, when it manifests in a neurotic way, or when we use it as an excuse to avoid releasing our work. This form of negative perfectionism causes us to be inefficient, and is correlated with an increase in mental health problems such as stress, anxiety, and depression. The most important distinction to remember with regards to perfectionism is that healthy perfectionism is about striving for perfection, while unhealthy perfectionism is about having a negative reaction to imperfection. Because of this, those who benefit from having perfectionist tendencies are those who use their perfectionism as motivation to try and achieve good results in their work, while simultaneously accepting the fact that the end result will have some imperfections. To avoid the issues which are associated with negative perfectionism, you should learn to identify your good enough point; this is the level at which whatever thing you are working on is ready to launch, and will no longer benefit on a significant level from additional work. You can choose to set your good enough point as low or as high as you want, as long as you do so using a rational thought process. A good rule of thumb is to find the point where additional work does not lead to a meaningful improvement in the final product, or when your efficiency, in terms of cost/benefit ratio between how much effort you expend to how much you benefit from that effort, becomes low enough that additional work doesn’t lead to enough benefits for it to be worth it.